Everybody knows that it's cold as hell in the Midwest right now, but satellite images of the tundra are still a sight to behold. It's amazing to see it like this, with any sign of civilization covered in snow. NOAA's GOES-East satellite captured a Midwestern wintertime "White Out" at 2015 UTC/3:15 p.m. EST on January 6, 2014. 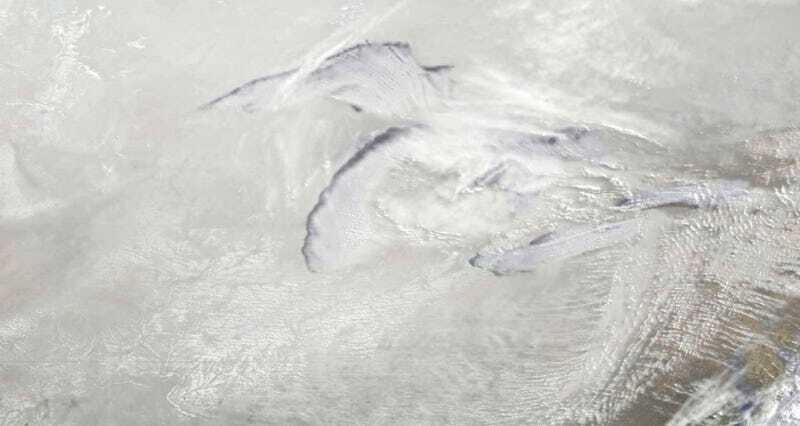 Blowing snow and intensely cold air created dangerous white-out conditions over the Midwest, particularly around the Great Lakes, where daytime temperatures averaged -20F with a wind chill near -50F.